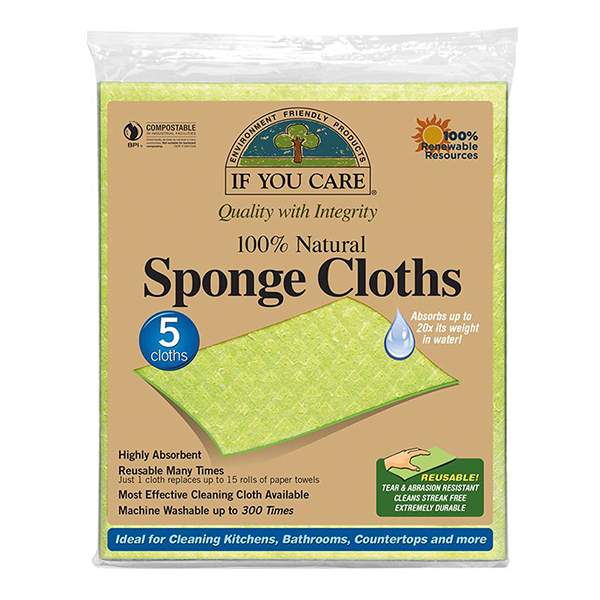 Perfect for cleaning in kitchens, playrooms and bathrooms, these cloths are soft when wet, yet tear and abrasion-resistant and hold on to soaps suds and detergents with ease so they’re great for lifting greasy marks from any surface. This magic sponge cloth can absorb more than 20 times its own weight in liquid. The 100% natural cloth is made from a blend of cellulose and non GMO unbleached cotton from renewable sources. Rinse cloth and wring out excess water to increase absorbency. 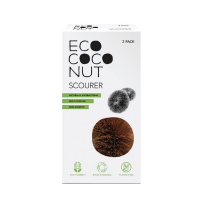 Use with water, soap and water, or any household cleaner. After using, rinse thoroughly, wring out water, and leave flat to dry. The cloths can be washed in the washing machine on a boil wash or cooler, with normal loads. Do not use chlorine bleach or chlorine products. After washing, leave to air dry. Do not tumble dry. 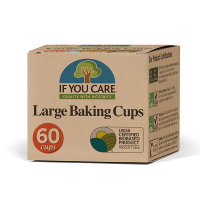 If You Care Sponge Cloths and their packaging are certified compostable (commercial composting). Unbleached cotton and cellulose (from plant fibres). 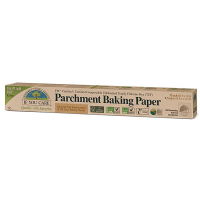 Packaging: corn starch polymer that is completely biodegradable.